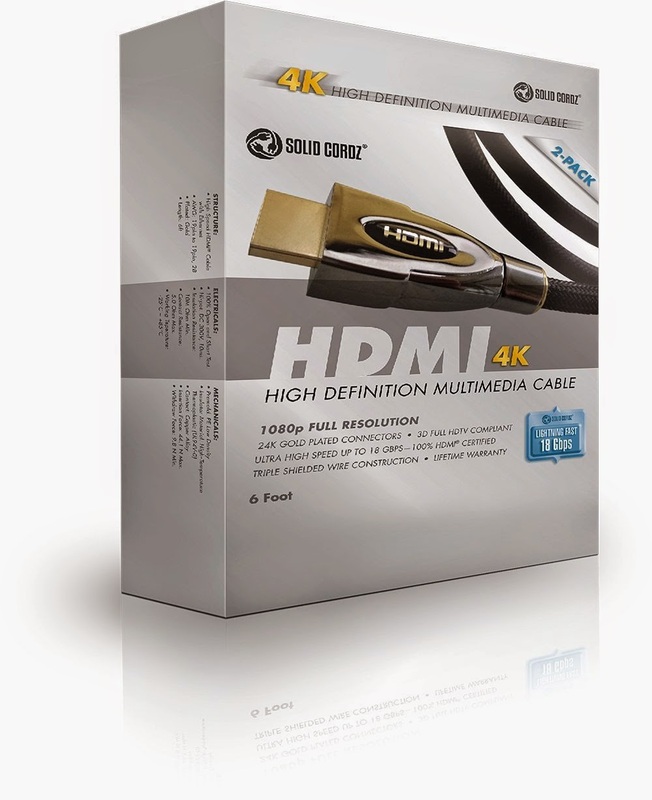 4K HDMI Cable Ultra Premium Series by Solid Cordz® provides an interface between any audio/video source, such as set-top boxes, Blue-ray Disc players, DVD players, video game consoles, AV receivers and an audio and/or video monitor, such as digital television or plasma monitor, over a single cable. 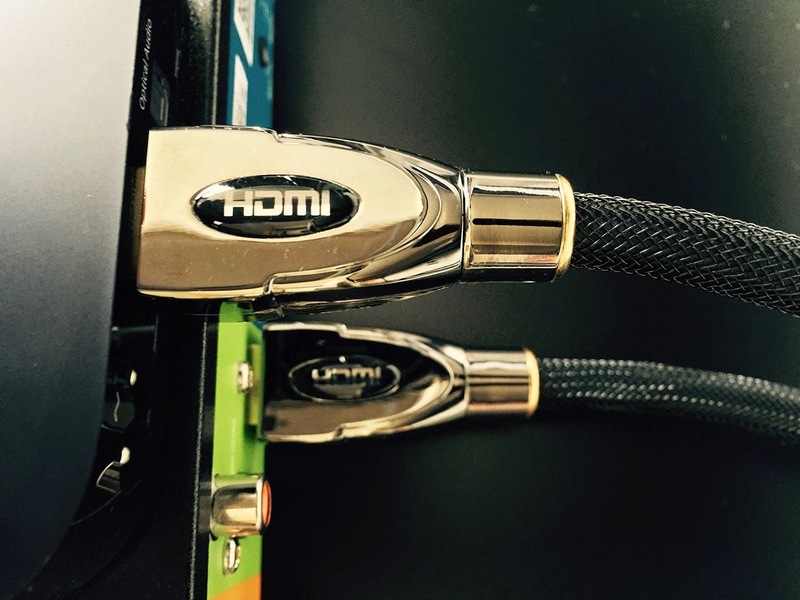 This High Speed HDMI cables have been designed to meet the performance standards set by HDMI 1.4 and have passed stringent Category 2 testing. They are backward compatible to all previous versions. Solid Cordz® is a top company and maker of premium utility tools and equipment as extension cables etc. Oma was very satisfied with this product. There are two cables per box. They are heavier and appear more durable that Oma’s old Cable. This 24K Gold-plated HDMI® connector provides optimal signal transfer and up to 18 Gbps Speed Rated. Oma could not really measure it but the cables did appear faster. They are also HDCP & RoHS & CEC Compliant & UL Certified! HDMI® Ethernet Channel - The HDMI 1.4 specification adds a data channel to the HDMI® connection, enabling high-speed, bi-directional communication. Connected devices that include this feature can send and receive data via 100 Mb/sec Ethernet, making them instantly ready for any IP-based application. Audio Return Channel - The new specification adds an audio channel that will reduce the number of cables required to deliver audio "upstream" from a TV to an A/V receiver for processing and playback. In cases where a TV features an internal content source, such as a built-in tuner or DVD player, the Audio Return Channel allows the TV to send audio data upstream to the A/V receiver via the HDMI cable, eliminating the need for an extra cable. 3D Support - The 1.4 version of the specification defines common 3D formats and resolutions for HDMI-enabled devices, enabling 3D gaming and other 3D video applications. 4K Resolution Support - The new specification enables HDMI devices to support extremely high HD resolutions, effectively four times the resolution of a 1080p device. Support for 4K allows the HDMI interface to transmit digital content at the same resolution as the state-of-the-art Digital Cinema systems used in many movie theaters.